Free Entry. Free Fishing. Free Bait. Holes Drilled FREE. Free Kids Raffle/Prizes. Concessions for sale. Contest for best fishing camps. YMCA Family Membership, 55" LG LED TV, $500 Fergus Home & Hardware Certificate, $800 Cash Prizes & More! 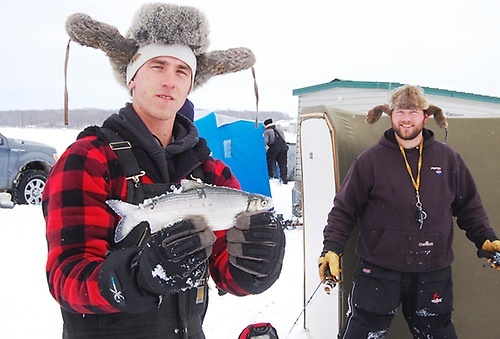 ​Holes pre-drilled by the West Otter Tail Chapter of the Minnesota Dark House and Angling Association. Take Pebble Lake Road to Delagoon Park entrance, continue to Public Access. Raffle Tickets available on the ice. HUGE Kids Prize Giveaway -- FREE!